Trainer Matt Dunnis hoping to restore Petrology’ to the winners’ list at Doomben. Petrology will have some important gear changes at Doomben as he tries to regain the form which once had him rated among Australia’s best horses. It has been a long and winding road for Petrology who is by Fastnet Rock out of Romantic River making him a three-quarter brother to Group One winner Aqua D’Amore. At various stages Petrology had been bound for Hong Kong, a stud career or Group One glory. 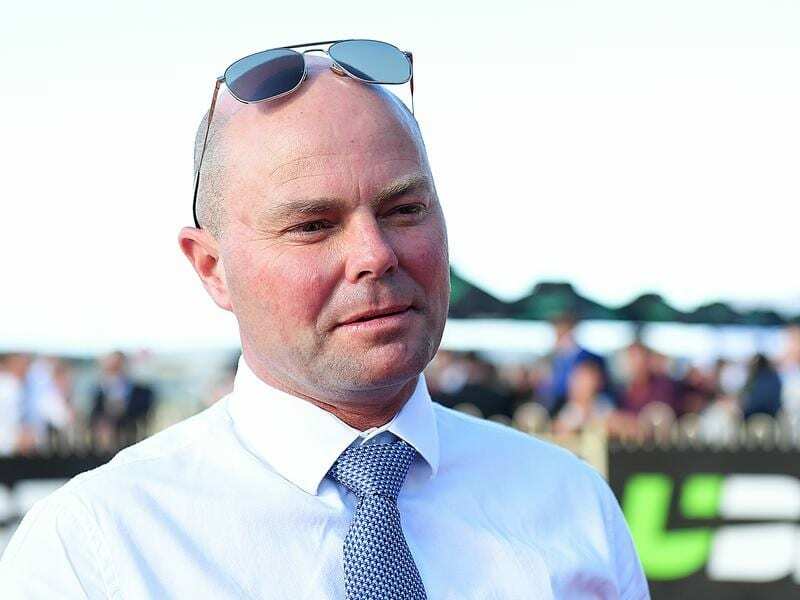 But after frustrating his connections for a few years Petrology has been sent to Matt Dunn at Murwillumbah in an effort to bring out the best in him. Petrology has shown what he can do, winning the 2014 Sandown Guineas and running third in the 2017 Group One Toorak Handicap. He also developed a reputation of being hard to handle and difficult to train. Petrology was originally trained by the David Hayes-Tom Dabernig partnership and Hayes still has a share in the now seven-year-old gelding. Dunn has had Petrology for one run when he finished midfield in an open handicap at the Sunshine Coast over 1400m on November 10. Petrology is out to 1600m in the Listed Brisbane Handicap on Saturday and Dunn is expecting a handy run after making some gear changes. “The main thing is I have taken off the visor and put on blinkers,” Dunn said. Dunn said he was confident Petrology had progressed to the stage he would be competitive in a Listed race. “He is out to his best distance He likes it and at his best he would be hard to beat in this,’Dunn said. The Steve Tregea-trained Prioritise will start favourite as he bids to take his record to five wins from his past six starts. He suffered his first defeat since August when fourth behind stablemate Niccanova in the Listed Recognition Stakes. Tregea has retained apprentice Michael Murphy even though he cannot utilise his claim.